You need these needles in every yarn project bag (we both know you have more than one project going at a time!). These are prefect for seaming or weaving in ends. 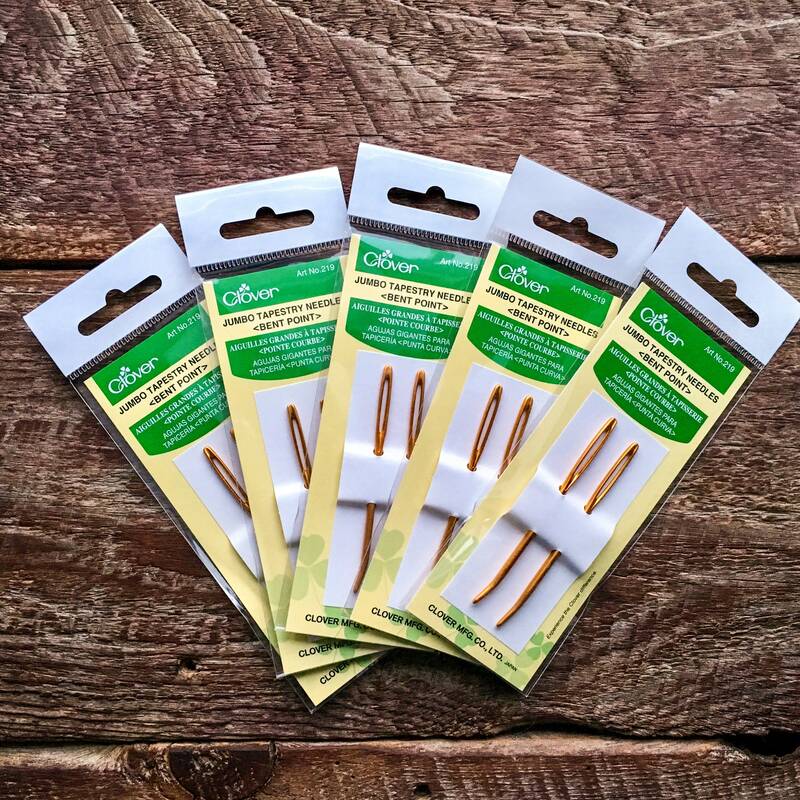 Clover products don’t disappoint and these bent point tapestry needles are no exception! This blunt, bent tapestry needle will become your favorite choice when it comes time to weave in your loose tails on your projects and will make seaming a breeze. The bent tip cuts your sewing time in half (YAY!) since it is so much easier to get in and around your stitches to hide your tails completely. The eyes of the needles are big enough to be able to easily thread several yarn strands or a size 6 bulky weight yarn easily. Never deal with another plastic needle that bends under pressure! Include this in your yarn purchase and there’s no cost for shipping!